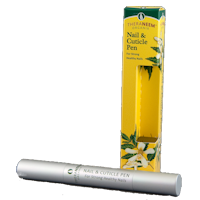 Supports nail growth, soothes & softens cuticles, fortifies brittle nails. 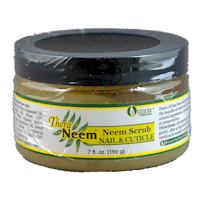 "Easy to use and less messy than a cream to rub on. I think it is a brilliant idea and works so well." 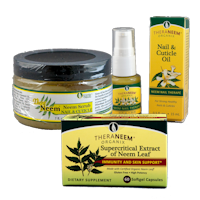 An all-natural blend of sea salts, Neem Oil and rich botanicals to pamper your hands, nails and feet. 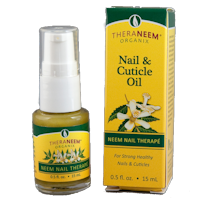 Supports nail & cuticle growth , soothes & softens cuticles, fortifies brittle nails. 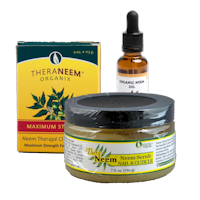 Pure Neem Oil, TheraNeem Nail & Cuticle Scrub and TheraNeem Maximum Strength Cleansing Bar.